Dao (導) means directing, guiding and leading; Yin (引) means attracting, leading, stretching. Both characters share one same definition – leading – but in different concept of leading. 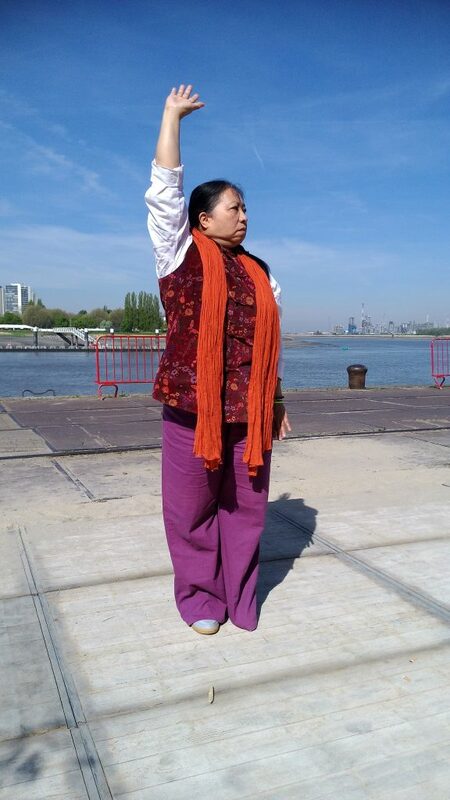 Daoyin Qigong (導引氣功) has many names in English, such as Taoist Yoga, Healing Qigong or Meridien Qigong. All different names lead to the same principles of learning and practice based on Chinese traditional healing and health cultivation exercise that originated from ancient Chinese dancing movements. The earliest documentation about Daoyin was found in the literature of “ZhuangZi KeYi” written by ZhuangZi, the most well known Taoism thinker, philosopher and writer represent the inheritance and and development of Taoism by Laozi. Various Daoyin Qigong techniques achieved considerable development during the Spring and Autumn (770-476 B.C.) and Warring States period (500-221 B.C.). traditional Daoyin Qigong involves meditative physical movements, mild stretching, breathing and self-massage techniques. The basic principles in Daoyin Qigong emphasis the relaxation of body and mind, improving suppleness and flexibility, promote the peace in mind and body that further enrich the understanding and realization of beauty in life. Mei Lan Hsiao follows the succession of teachings of basic Qigong, breathing techniques for self healing from Grand Master Lan Shu-Ru since 1985 in Taiwan. Grand Master Lan Shu-Ru was the the 13th generations of Plum Blossom Gate from Grand Martial Arts Master Wu Ti-Pang as the only closed apprentice of Grand Master Wu. The basic training not only equipped her the necessary knowledge and skills to heal her pain from Hernia, but mostly enlightened her with wisdom of maintaining a good balance in body, mind and life. Around 1997, Mei Lan further followed the teaching of Daoyin and meridian massage techniques with Master Lee Ching-Han. The critical learning in life is not just what MUST DO, but LISTENING, RESPECTING & SIMPLY DO. 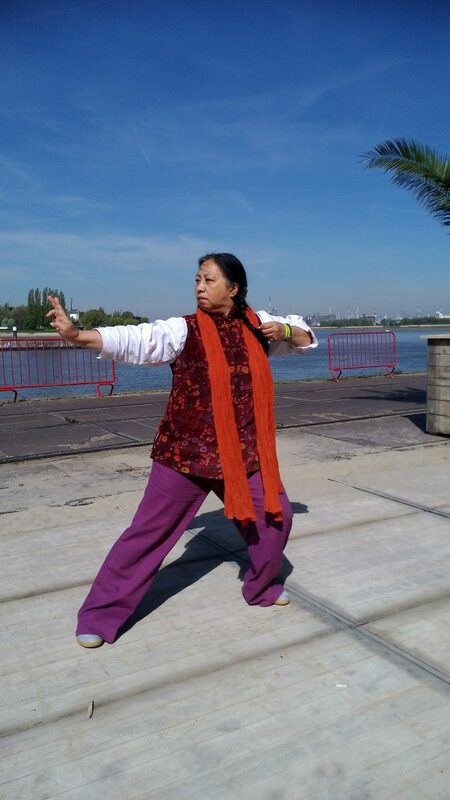 All those years, the learning and practice of relaxation, stretching and breathing techniques in Daoyin Qigong have helped Mei Lan not only healed the physical problems from hernia, arthritis and accidents, the traditional Chinese philosophy and Taoism teaching enlightened her wisdom to go through the most chaotic change and stress in life. Those years of pragmatic learning and practices transformed Mei Lan to a life coach.